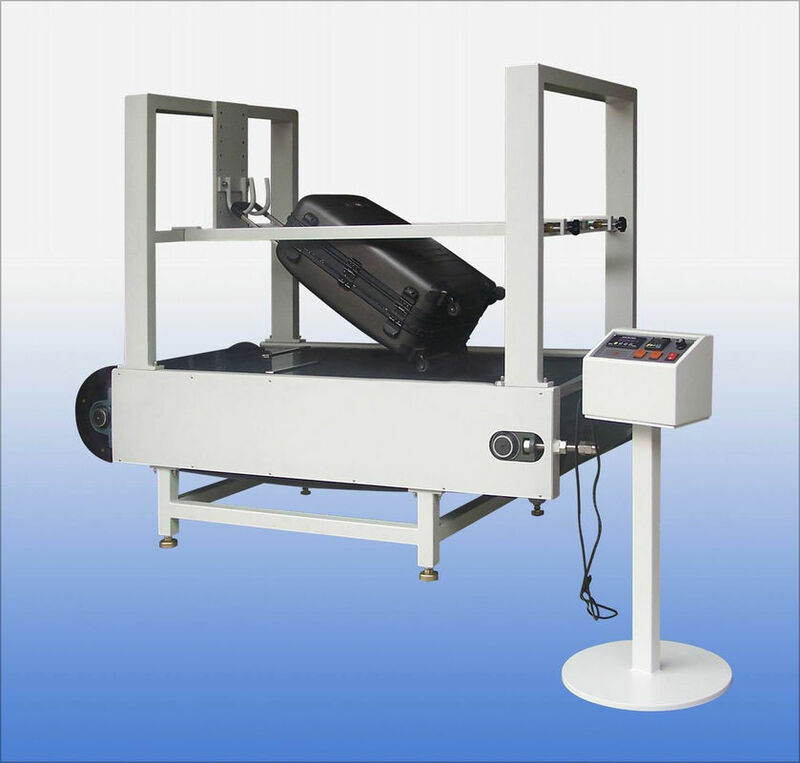 The tester is simulating walking of luggage subject to abrasion and vibration from ground, check quality of travelling wheel, axle, wheel stand, draw bar and the main box. The testing result can be preference to improve the products. The luggage is carried specific load. Start the wheel roller walking tester. The roller will rotate, and conflict and impact with travelling wheel of luggage, create shock vibration and abrasion.